This level has easy difficulty and you need to use good technique to complete this level. For this level you should try to play near to blockers to break them so you will have more candies to play. Then try to make colorbomb and break with green or other candies. As you will use colorbomb with any candy then you will have more other same color candies and will give more chance to make colorbomb. 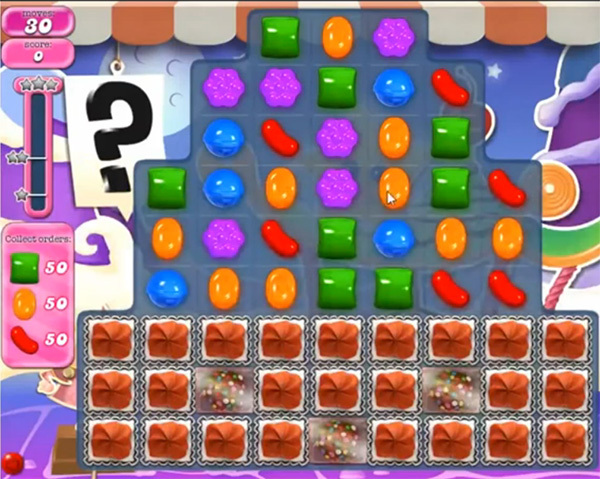 Try to play more with order candies to complete the order. I have looked through a number of sites and they all show 30 moves. 14 moves is not enough and it is not even half the moves. Why change from 30 to 14? Looks like this may be the end of my Candy Crush enjoyment. Stuck with just 14 moves,all these tips with 30 moves must be playing a different game. Yep. Only 14 moves available…impossible.